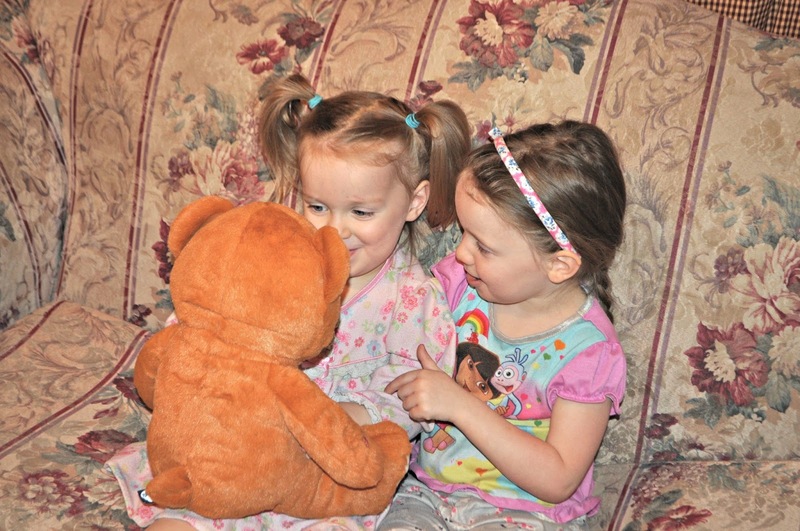 I am absolutely in love with my kids' new CloudPets™ Teddy Bear! This is such a genius idea and I totally think it should be at the top of every mom's Christmas shopping list. 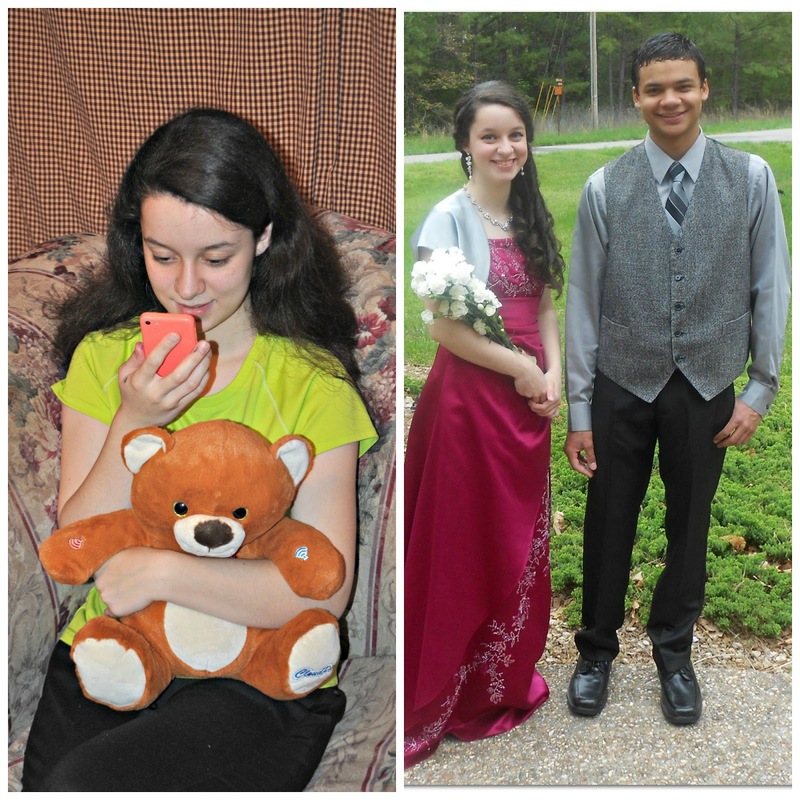 CloudPets™ are new, one-of-a-kind products that keep loved ones in touch when distance separates them. A CloudPets™ owner can receive and send messages through the toy and synced phone app. 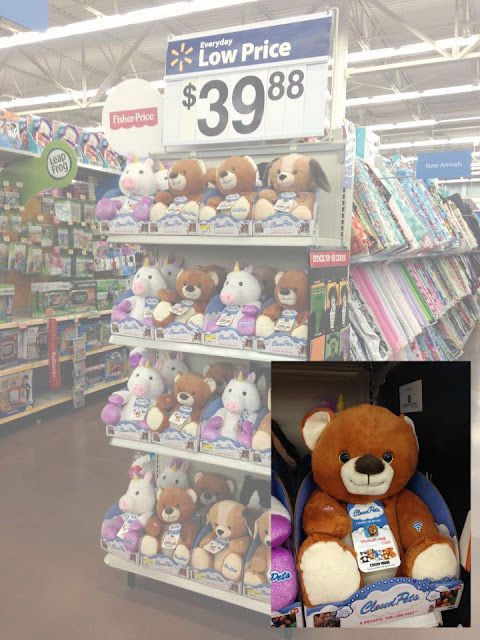 I found this CloudPets™ Bear at Walmart this morning. There were a great selection of cute ones on this end cap in the toy aisle. Right now, they can only be found at select Walmart stores but will be available nationwide soon. Make sure to grab some AA batteries (you'll need three) from the pallet display in your store. I'm super excited to send messages to the kids next time I'm in England. 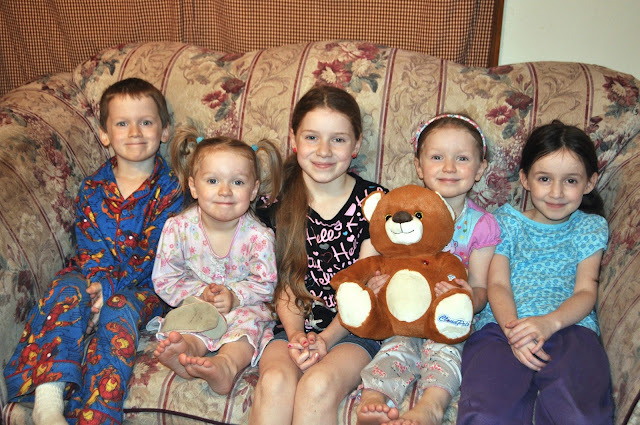 Even though I'm only gone for a week or so at a time, it's hard for them having me away and a special daily message from me would really ease that stress. Before I left last week, Kynthia said she didn't think I would be her mommy anymore when I was gone. Talk about breaking my heart! One thing I really love about CloudPets™ is the option for parental controls so I can choose who has permission to send messages to the kids. Only those I invite will have access to the ability to send and a free app makes it easy to set everything up. Check out this "How It Works" video for details on making your CloudPets™ work properly. 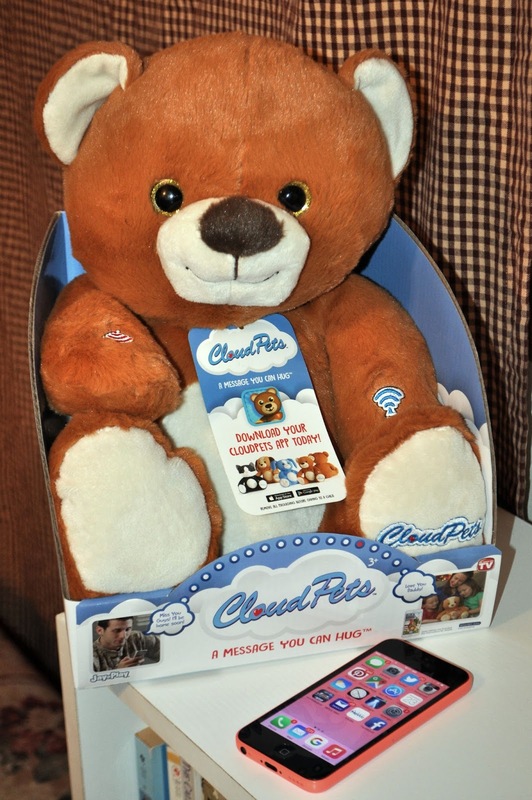 What creative idea do you have for using CloudPets™? What a great idea to keep in touch with my grandchildren! Oh this grandma might have to get one! So cute.